What's my Hunters Creek home worth? The Hunters Creek neighborhood of Frisco, Texas is a well-planned five star community. Its integration with natural forest and the West Rowlett Creek makes it a particularly distinctive and desirable community in one of the fastest-growing cities in America. Established in 2001, Hunters Creek is just down the road from Frisco’s new shopping centers and sports venues, and lies adjacent to where a regional arts center will soon be breaking ground. Several major companies (Toyota Motor Company, State Farm Insurance, Liberty Mutual Insurance, FedEx and Nebraska Furniture) are flocking to the North Texas area due to the prime real estate, excellent climate and thriving economy leaving hundreds of employees looking to purchase Hunters Creek Homes for Sale & Real Estate. Hunters Creek Homes for Sale & Real Estate range from $300k to $800k. The following Frisco ISD schools are adjacent to the neighborhood: Isbell Elementary School, Vandeventer Middle School and Liberty High School. 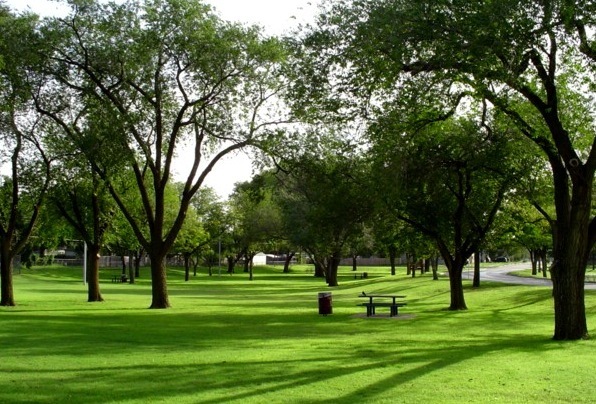 Within Hunters Creek, we enjoy two community pools, spacious park areas, and our unique access to the City of Frisco’s West Rowlett Creek Hike and Bike Trail, which traverses the neighborhood. With so many unique floor plans and home styles its easy to see why so many people are flocking to the community. Hunters Creek is primarily pre owned, single family homes and is perfect for the first time homebuyer or a family looking to move up in size. 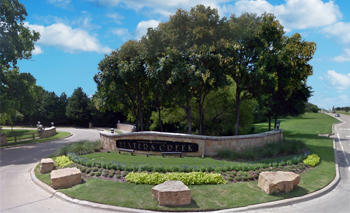 Information about Hunters Creek Homes for Sale and Hunters Creek Real Estate can be found calling or stopping by our office located just South of Hunters Creek in the master-planned community of Castle Hills. Stop by or call Renee Mears Realtors for a list of currently available homes in Hunters Creek. When looking to buy a home in Hunters Creek or sell a home in Hunters Creek it is always best to use an experienced Hunters Creek, Frisco Realtor. Click on the tabs for neighborhood specific: area info, school info, demographics, neighborhood maps, recent sales & home values. If you are interested in Hunters Creek Homes for Sale & Real Estate call Renee Mears at 972-489-0828. Highly Sought Hunters Creek community with Frisco ISD! New Roof in Nov 2017, New Carpet all through stairs and 2nd flrs. Upgraded Media Room for family entertaining and more! Amazing Schools and location, which offers easy access to 121 and other major highways. stonebriar mall is about 8-min drive down the 121. New Walmart, Target, Lowe's , Kroger and other stores are all close by. Stunning immaculately kept 4 bedroom 3.5 bath PLUS study home in the 5 star neighborhood of HUNTERS CREEK! Some of the upgrades include granite countertops, crown moldings, wood floors, oversized laundry with sink and cabinets, wrought iron staircase, designer landscaping in front and in back of the home, and much more! The backyard features a private covered patio with no neighbors in the back. This community boasts miles of scenic trails & lush, mature landscaping. Soak up the sun at one of the community pools, lazy river, or let the kids enjoy the splash park & playground which is just around the corner! Walking distance to 3 of Frisco's best schools. See this home today...it won't last! THIS IS IT x2026; a beautiful 4 bedroom 3.1 bath home in the sought-after neighborhood of Hunters Creek. Approaching the front door, a beautiful cast stone feature which gives a rich feel. Plantation shutters on every window on the front of the house, upstairs & downstairs, also in the master bedroom. Attractive wood floors throughout most of downstairs, spacious family room and gourmet kitchen to entertain family and friends in. Cool off in the beautiful swimming pool w gated backyard, plenty of room for outdoor parties. Home is perfectly located so children can walk to all three Frisco schools. Hunters Creek has 2 pools, a park and walking trails to enjoy. A MUST SEE! DON'T MISS THIS GORGEOUS HOME! A Stunning Home in desirable Hunters Creek Frisco. Spacious and Bright family room w attractive wood flooring throughout main floor to greet family and friends. Master BR separate with 3 beds in one story Vaulted Ceilings. Hard to find 3 full baths in one story home. Recent Roof and Fresh neutral color paint. And more. Gourmet Kitchen with 42 x201D; cabinets, walk in pantry, large island opens to family room & corner lot back yard. Master retreat offers huge sitting area, double vanities, walk in master closet. Close to park, exemplary elementary school, Easy access to highways, shopping, dining &recreational activities. Welcome Home! Motivated Seller! Nestled quietly on a beautiful lot, this home is the perfect escape for someone looking to buy an experience, as much as they are looking to buy a forever home. With a backyard view of the greenbelt, and a quiet neighborhood this 5bdroom, 4bth, 3 car garage home brings the perfect living space for those who have an adoration for nature. Boasting 3,462 sqft of spacious living with granite counters, private game room, and separate media room that are perfect for entertaining. Enjoy your credit towards new carpet, cooktop, wall oven and build in microwave. If you x2019;re looking for a home that feels like an escape, this is it. A home should be a dream; a home should be an escape. Great Highland home in desirable Hunter's Creek. Versatile open floor plan great for entertaining! Island kitchen is a chef's delight with 42in cabinets, granite counters and gas cooktop. Extensive hardwood floors and plantation shutters. Master suite includes sitting area, walk-closets, his & her sinks, walk-in shower and garden tub! Study with French doors. 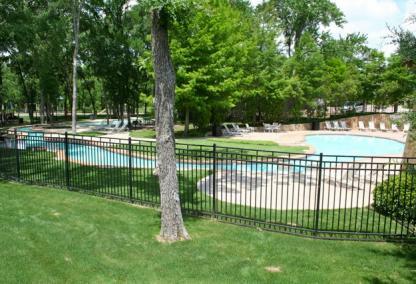 Hunter's Creek has two community pools, hike & bike trails and a playground. Walk to all schools! Conveniently located to shopping, major thorough fares and major employers.